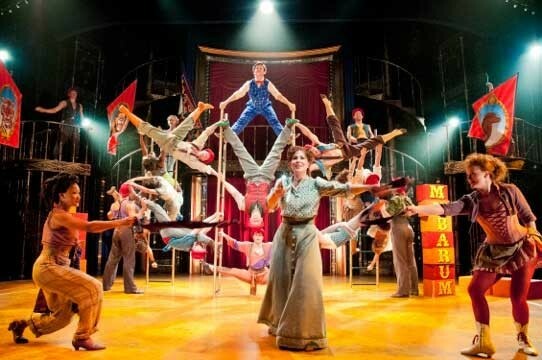 Entertainment equipment engineering specialist Triple E's robust ERAIL aluminium track is smoothly gliding curtain reveals for Cameron Mackintosh and Mark Bramble's exhilarating musical, Barnum, at Chichester. ERAIL - the compact profile extruded aluminium track, with a comprehensive range of component parts - has been installed at Chichester Festival Theatre's state of the art temporary 1,400 seat auditorium situated in Oakland's Park. 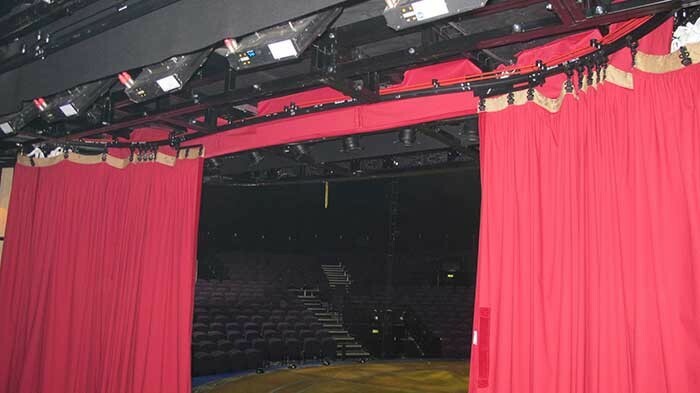 "Triple E's ERAIL system is ideal for this project; it has a low profile, it was easy to put together, simple to use, and utterly reliable," says Barnum's production manager, Chris Boone of Cameron Mackintosh Ltd. "We had limited space in which to hide the track and we wanted it to be discrete." 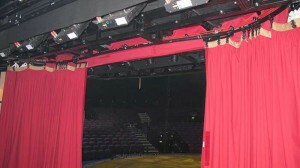 Installed as an upper single track with three lower tracks, the rails are used to glide plush red velvet curtains for intimate reveals and entrances. "We needed custom curves in the rail but had a limited budget," continues Boone. "This is where Triple E's bespoke service is invaluable. They responded to our needs very quickly and delivered exactly what we needed - the rail is certainly living up to all expectations. I also have a great working relationship with Triple E and am a long-time user of their products." Barnum, based on the life of showman P. T. Barnum, combines elements of traditional musical theatre with the spectacle of the circus. It is energetic and demands speedy scene changes. The curtains on Triple E's ERAIL are the only moving theatrical devices in the staging for Barnum, which was built by London-based scenery constructors Souvenir. "I am delighted that the ERAIL system has worked its magic for this production," says Triple E's managing director David Edelstein. "It's also fantastic to see ERAIL in use at such a prestigious venue." The temporary 'Theatre in the Park' auditorium has been especially designed and built for Festival 2013, while the Festival Theatre is being refurbished. 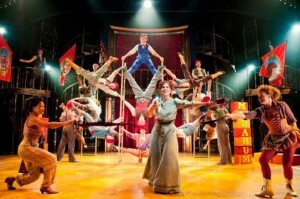 Barnum is showing until 31 August 2013.